Lips…oh how we can fall in love with a line free mouth or the perfect pout. But what does the “perfect lip” look like? I love doing lip filler but the reason I love it so much is that there is a variance in what “perfect” looks like. I read an article just the other day that revealed the “look” most requested or done in celebrities is actually not the top “look” picked by everyday men and women. 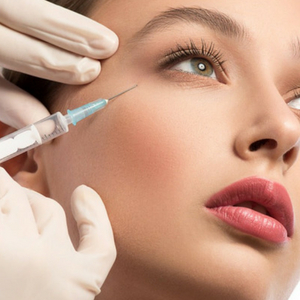 The extra exciting thing is knowing this is a personal preference and injections can be individualized. I have LOVED doing lips for the first time on patients and I LOVE doing lips on the patient who has had them done over years. There is always a little extra time and care into where the lip can be improved and to match the look wanted. If lip filler is approached with a goal in mind and realistic results are discussed the plan for where we are “going” is made. 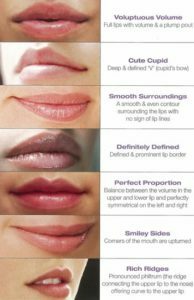 The most requested point I hear is “I don’t want to look filled or silly”… well if you have small lips baseline we begin with gradually building the volume for you to look natural and not “ducky” or “filled”. There is a number of fillers on the market to choose from. There are specific pros and cons to the type of filler and knowing which ones are best for you is key…do you have downtime for swelling and bruising, have you had your lips over filled in the last or have you had to have the filler dissolved, the medical conditions you have that may impact the outcome are all part of the consult. As we age several changes to the mouth area happens. Our lips get thinner, less “pink” shows, lines can develop around the mouth, lifestyle and loss of collagen can really impact how this area looks. But…filler is really popular to the younger population where aging changes have not yet occurred! Having a lifted smile, a more voluminous smile, a pucker look when you are not puckering are some really nice looks on any age! So what are you waiting for? Put down the lip liner and call! Set up your free consult today to find out which filler, what look, what improvements can be made to lift, brighten and rejuvenate your lips! Get all latest content delivered to your email! Coming Soon! At Redefine Beauty Aesthetics, we believe that all patients deserve to be treated with honesty and respect. 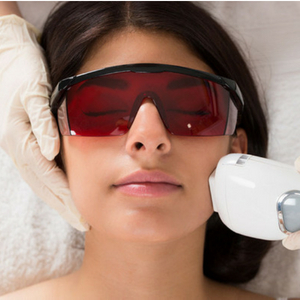 We pride ourselves in making realistic goals and results for our patients to have the best non-surgical outcomes. Hours:8:30-5:00 Monday - Friday, Late appointments & Saturday appointments available upon request.